Thats right!!! 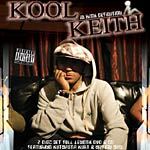 Kool Keith live! DVD+CD of concert footage filmed, recorded and digitally mastered from his 2006 performance at the Mezzanine in San Francisco. With over 110 minutes worth of footage and over 70 minutes on the CD, plus bonus features including video of his Black Elvis tour back in '99 and interviews. Longtime fans won't want to miss out. 10. Check It Out S.F.